A sharp left hand in the seventh caught Tony Conquest on his eye. 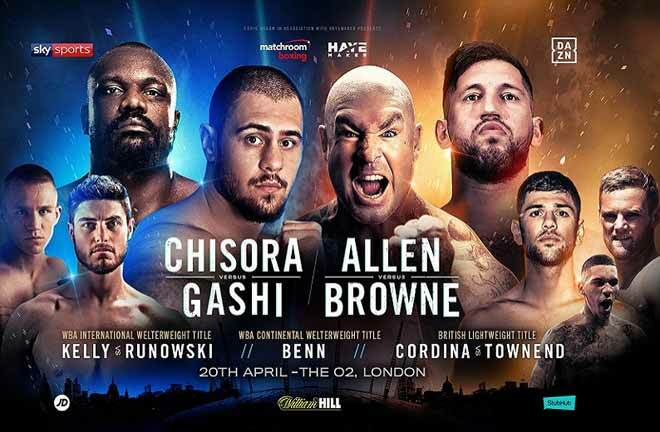 It would finish 2-1 in England’s favour at the OPI Arena in Florence, on an entertaining night of action in Matchroom Boxing’s first foray into the Italian Boxing scene. The tie up will see more promotions held in the country going forward. Turchi delighted the his fans on home soil. Photo Credit: Sky Sports. Top of the bill was Florence Cruiserweight, Fabio Turchi who delighted the home faithful, retaining his WBC Silver Title with a seventh round knockout win over Romford’s former Commonwealth Champion, Tony Conquest. Conquest did start the contest well, and evenly matched his counterpart, despite being well behind after four rounds on the WBC open scoring. 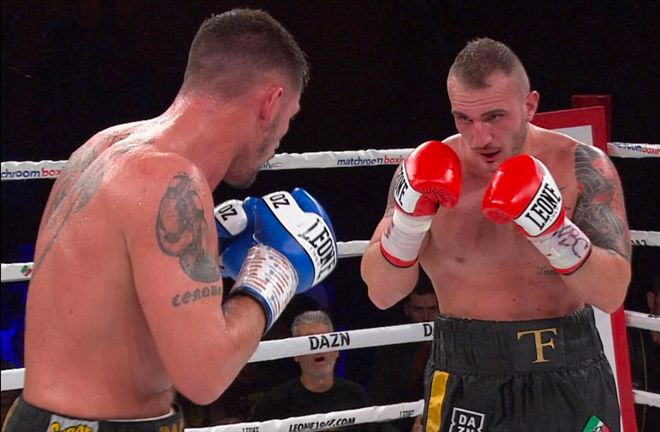 Turchi upped the ante in the next two rounds, landing with a hard uppercut in the fifth, and winging in impressive body shots in the sixth frame. 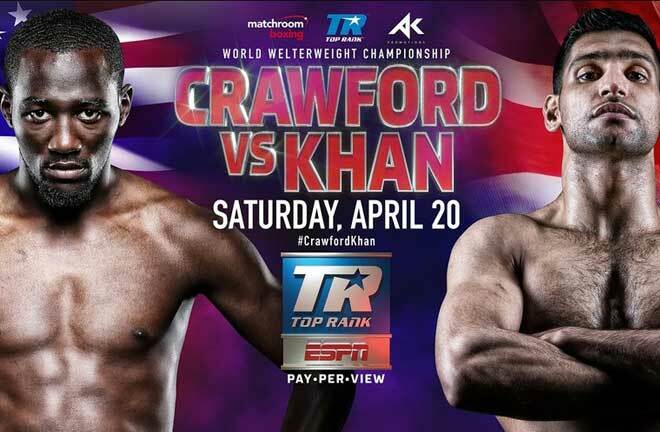 The action ended abruptly in the next round, a sharp left hand catching Conquest on what looked like his eye. Conquest winced in pain holding his left eye and sat out the count, much to the approval of a partisan crowd. Performance of the night no doubt came from Malmesbury Super Lightweight Joe Hughes, who lifted the vacant European Title with an impressive, energetic win over home favourite, Andrea Scarpa. It was a shame that after such a dominant performance, Hughes had to nervously settle for a split decision win. One judge inexplicably scored the fight 116-112 in favour of the Italian, thankfully over ruled by the other two judges who tallied 118-110 and 116-112 for the new Champion. 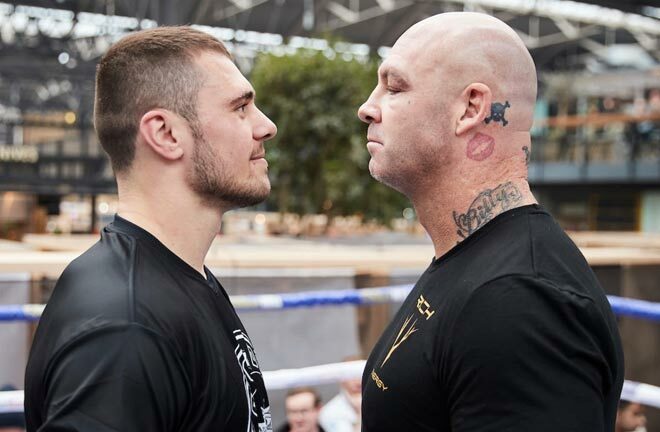 Hughes was in charge throughout, frequently beating Scarpa to the punch, and mercifully was adjudged a worthy winner, capturing the Title at the second attempt after a failed bid in Leicester against the Swede, Anthony Yigit in December last year. 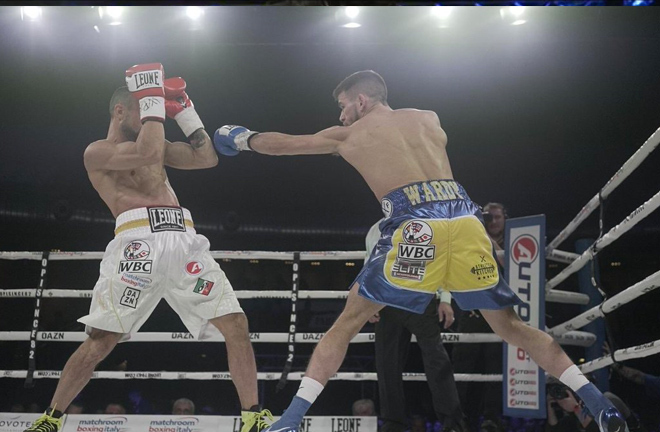 Martin Ward landed cleaner shots in Florence but was made to sweat before it was announced he had won a split-decision victory..
Martin J Ward also had to settle for a split decision win, edging out Devis Boschiero to win the WBC Silver Super Featherweight Title. Italian Boshiero had only previously been stopped once, by Stephen Smith, so a long night was expected. 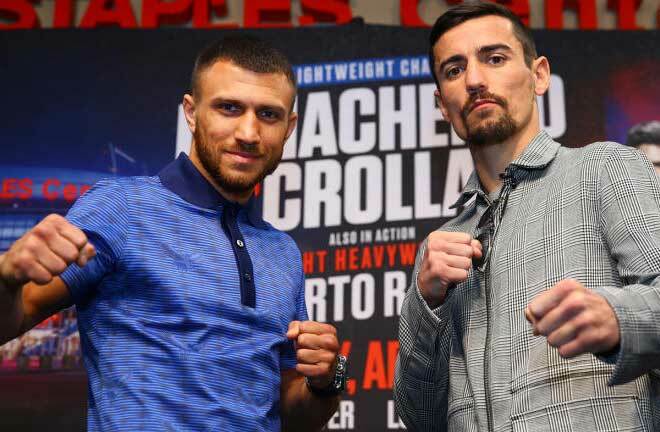 At times, Ward dazzled with his slick Boxing skills, but Boschiero kept coming forward, maintaining a high work rate to keep Ward working hard. 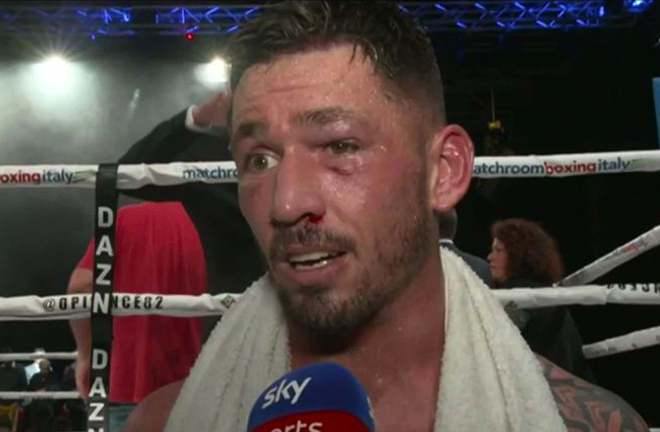 Ward had a point taken away in the eleventh for pushing, but this didn’t make a difference in the final reckoning. 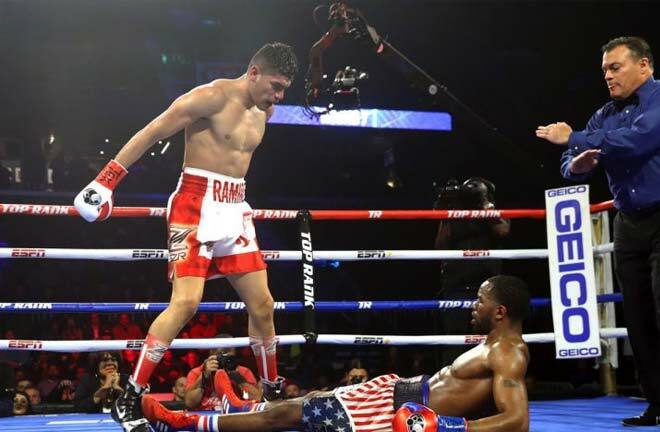 One judge awarded the fight to Boschiero 115-113, cancelled out by scores of 117-111 and 115-113 for Ward, who hopes to move on towards a World Title shot in 2019.